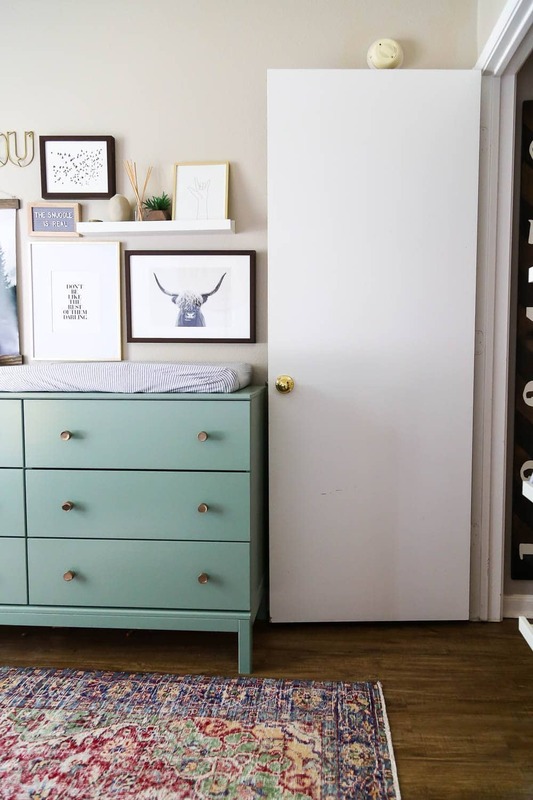 Today’s the big day – I’m finally sharing the official reveal of Grant’s gender neutral nursery! 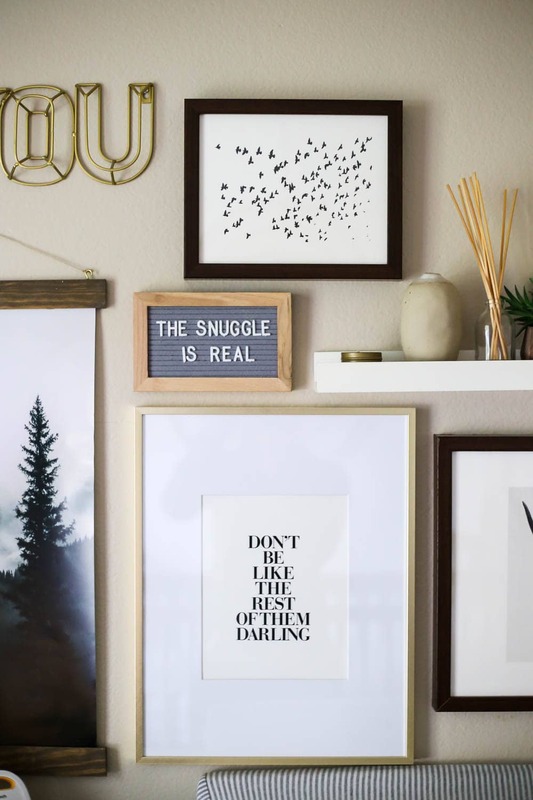 I’m so proud of how this room turned out, and I’m excited to be sharing it with you today. 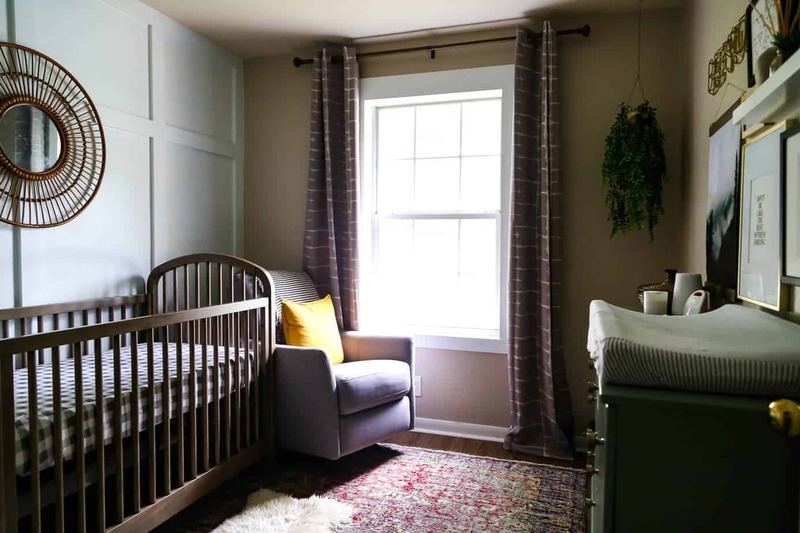 Well, friends, there have been lots of requests for an official reveal post of Grant’s gender neutral nursery – and today’s the day! Let’s not even acknowledge the fact that he’s already a whopping 6 weeks old (WHAT?) and I’m just now sharing this. Life with a newborn is nutty, folks. I’m really, really thrilled with how this room turned out – although, it feels a little strange because we aren’t really using it all that much yet. Jackson slept in his nursery from day one (it was right across the hall from our room, so it just made sense), but Grant has been sleeping in a bassinet in our room to minimize the disruption to Jackson’s sleep (since his room is across the hall from Jack’s, and across the entire house from ours). Now that he’s getting a little bigger we’ll probably be transitioning him to sleeping in here more often, though, so I’ll feel like this room has more of a purpose beyond just housing his clothes and changing table. Because, seriously, when you’ve got a room this gorgeous you wanna use it, right?! And that brings us to here – the big reveal. 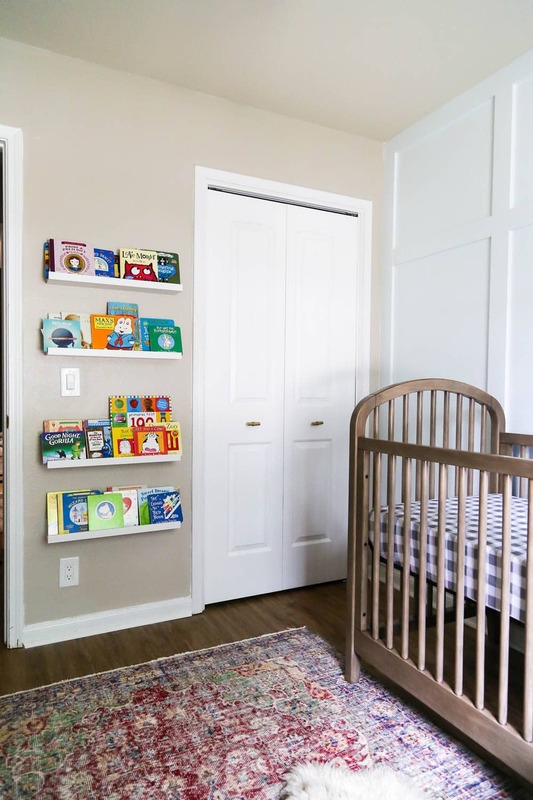 I still have a couple of nursery-related posts planned (including how I keep things organized and a post about swapping out the door once we get around to that), but the bulk of it is done and it feels nice to be able to basically cross this room off of our to-do list. We don’t plan on staying in this house for a very long time (we’ve been here almost a year, the goal is no more than 5! ), so it’ll be fun to see how many rooms we can call fully completed before it’s time to move on. We had quite a few questions about the size of this room – it’s just under 10X10, making it slightly smaller than Jackson’s nursery was. It’s definitely cramped, but it’s enough. Because of the small size, we had to get creative about choosing furniture. 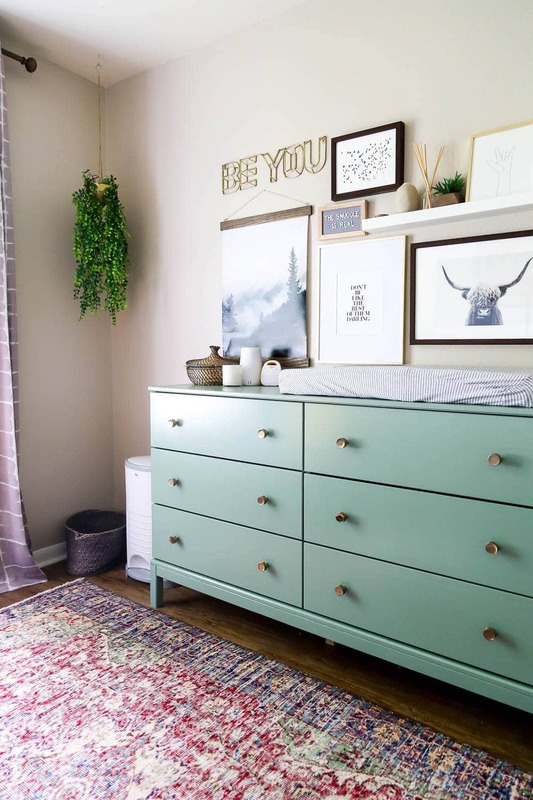 I was set on a 6-drawer dresser, simply because we needed the extra storage in the room – that meant that everything else had to be pretty pared down. 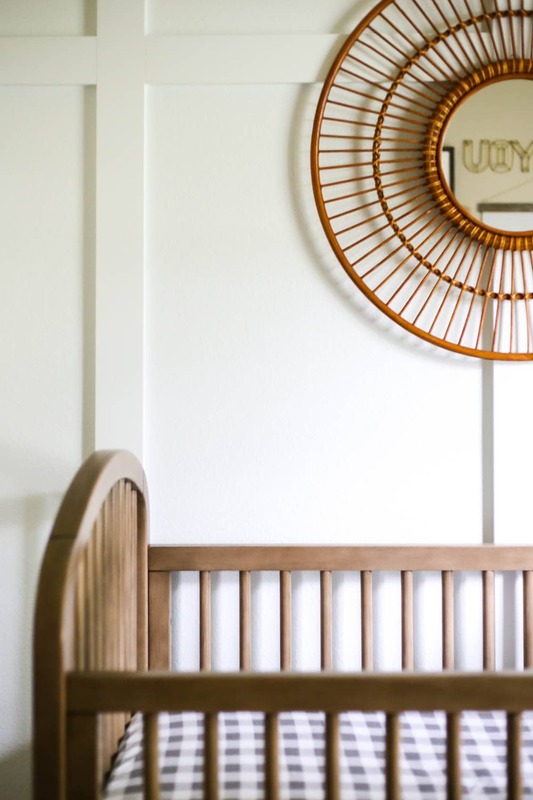 We ended up going with this glider from Amazon – it’s smaller than your average glider, which means it doesn’t take up too much space in our tiny nursery, but it’s still very cozy and plenty big for us. Plus, as a bonus, it’s under $250 – which is just about impossible to find in a glider. 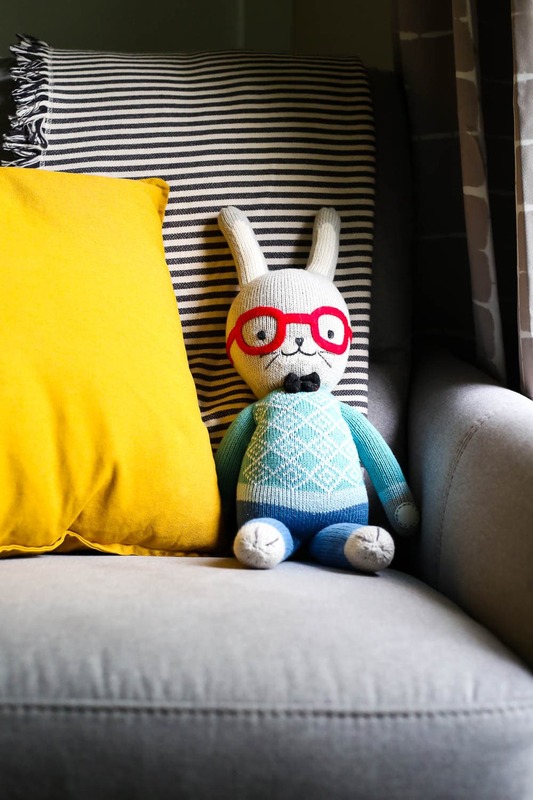 Of course, we’d love a super plush chair for this room, but you’ve gotta work with what you’ve got, right?! Probably one of my very favorite things in this entire space is the rug. Unique Rug Store reached out to us right as we were in the beginning phases of planning this room and asked if we’d be interested in trying out a rug. 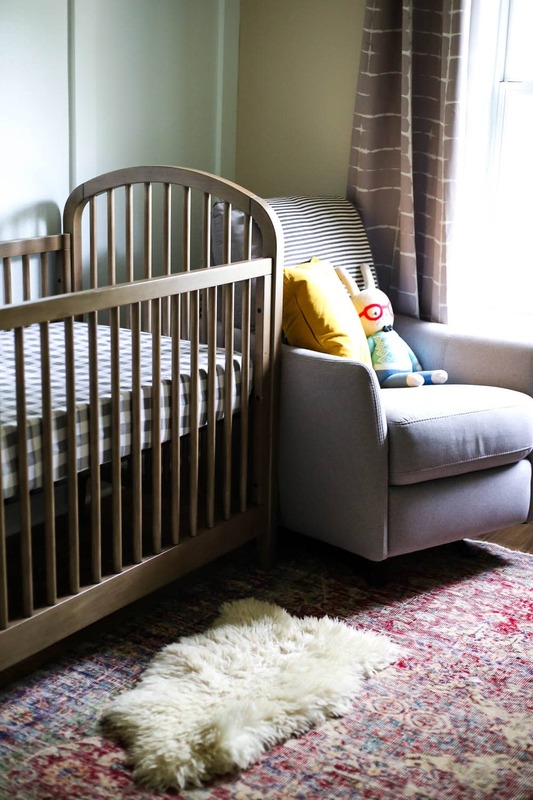 I had been wanting a vintage rug for the nursery, so it was perfect. They sent us this beauty, and I feel like it pretty much makes the room. And that, my friends, is Grant’s room! 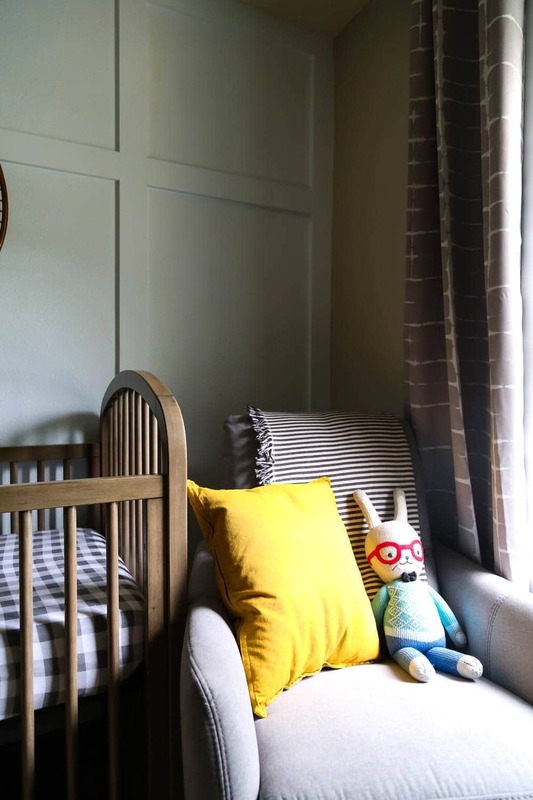 I always love designing kids’ rooms, and they usually end up being some of my favorite spaces in the home – this one is no exception. His room is so peaceful and it’s so nice to go hang out in there when I want to feed him in a quiet part of the house. Thanks for your patience while you waited for this reveal post – it’s been a long time coming! 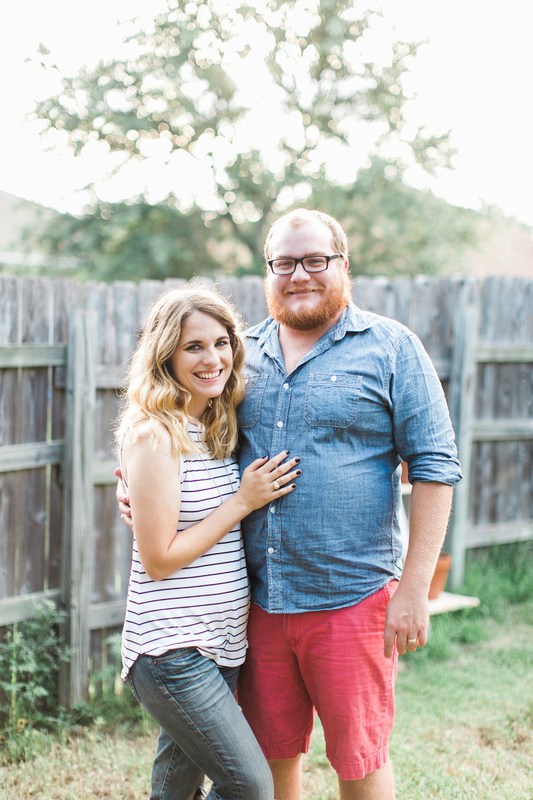 All of the sources for Grant’s nursery are linked below – let me know if you notice something I missed and I’ll be sure to add it in. Let me know if there’s anything else about this room that you’d like to hear more about! The rug link isn’t working for me, and I’m swooning over it. Help! Oh no! It’s a vintage rug, so it tends to go in and out of stock as they get more. You should definitely browse around on their site and see if you see another one you like – they have a ton! Here’s one that’s pretty similar (it’s a bit larger than ours).